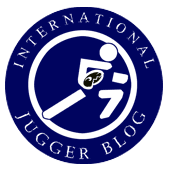 Recently, short lesson clips on how to play Jugger Pompfen/spars/pompårna popped up at youtube. Both settings are quite alike (and good for learning) but are done, in fact, on different continents: In Australia and in the U.S. They are especially interesting for the beginner, but even the more experienced players may learn a bit! Enjoy. How to play the shield: Basic lessons on shieldplay at youtube from Doug, U.S.